How our service works | CopyrightsWorld | The #1 Worldwide copyright protection and registration service! Here's how our unique protection formula protects every creation you submit. Click here to pick your plan and easily create your personal account. 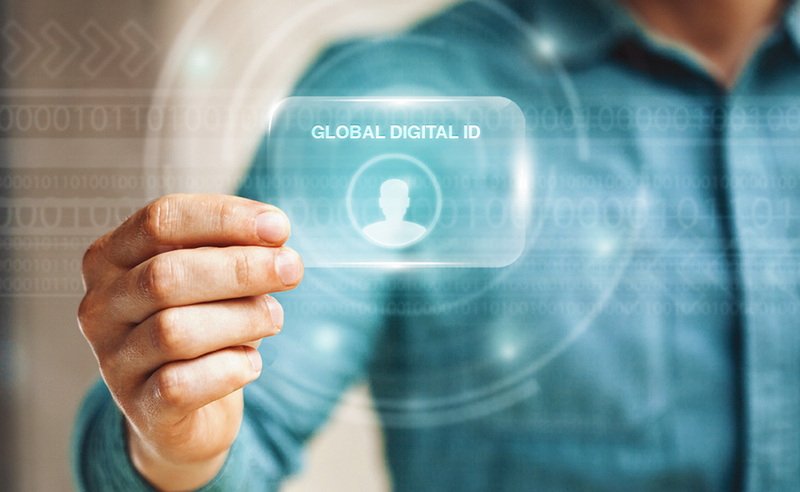 This account is your digital identity and its highly secure. That way every creation you submit for copyright registration is linked to your identity immediately (your unique CWID – CopyrightsWorld ID). After you have activated your account you are good to go. 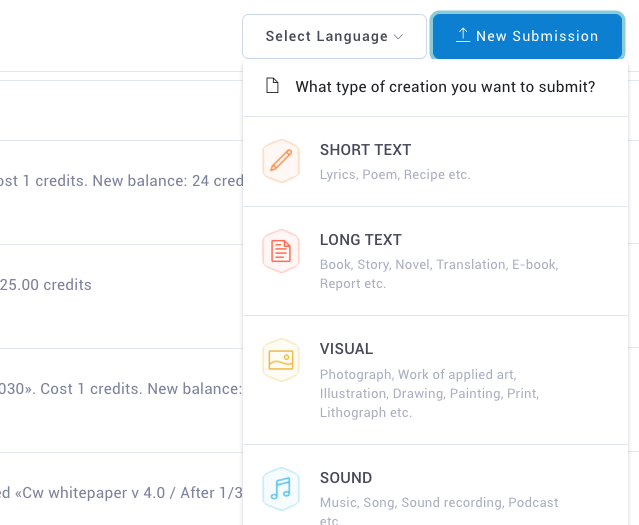 Login, click on “New submission”, choose the appropriate category and fill in the necessary information (Creation title, creation file, year of creation etc.) and submit your work. Every submitted creation gets linked to its owners account, encrypted, time stamped, distributed, digitally signed and immutably recorded to our append only “cw-chain” ledger, based on block chain technology. That ledger is publicly available and it’s meta-data gets distributed to all creators and chain-listeners in the network. That way we can attribute data ownership (PoO) and verify data integrity without revealing actual data. 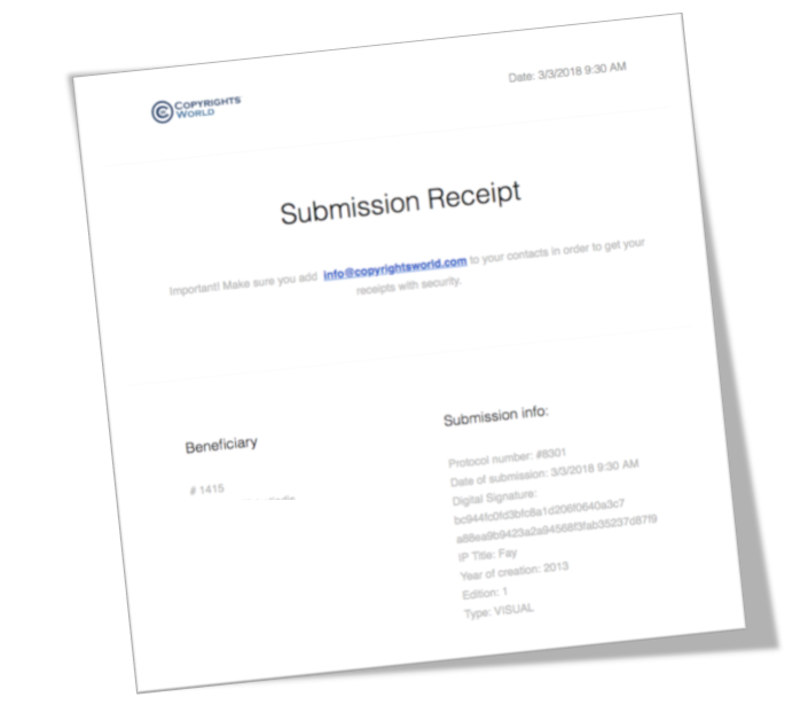 For every submission of work you make, you will get immediately your “Submission receipt” at your email. This certifies the registration and includes all necessary details such as (CWID -CopyrightsWorld ID-, IPID, time Stamp “dd / mm / yyyy hh: mm: ss”, title). Caution: Keep this message and don’t delete it. This way you get another evidence of ownership of the material, since the submission details in CopyrightWorld’s databases and CW-Chain, correspond with those sent to your email timestamped by a third party (eg Yahoo, Google, Hotmail). At this point you can get your Copyright Protection Badge and put it underneath your work when you share it online. 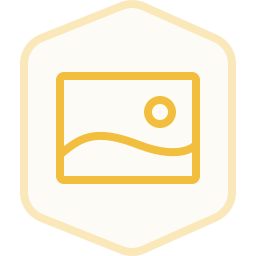 By clicking that badge, everyone will see your copyright certification and proof of ownership. Every 24 hours, a chain sync accours. When the chain sync is completed, the “Certificate generator” is triggered. Immutable Certificates of Ownership (CoO) are automatically being generated and emailed to every user that had submitted at least one creation within that “chain-link” session. That Certificate of Ownership includes all the details and data produced by the sync process. This certificate, that links everything together, is your ultimate evidence of possession for your creations! As a result, this is a clear proof of ownership! (e.g. my creation with Title “the sky” and Protocol Number #1242 was submitted to CopyrightsWorld, under my name and is immutably, signed, encrypted and recorded in CopyrightsWorld's CW-Chain ledger, in chain-link-233 on 14 January 2007). 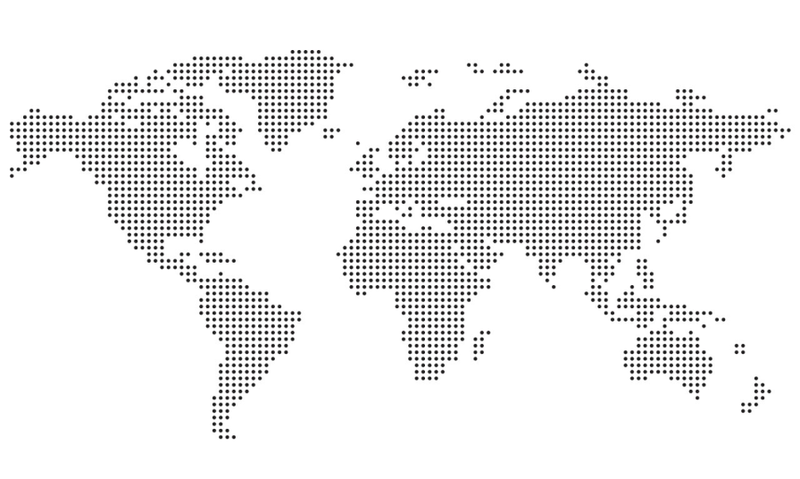 Timestamps from multiple and highly credible third party partners verify the above. This is undeniable evidence of possession of your intellectual work that only CopyrightsWorld™ provides, and immediately defines you as the beneficiary of your work. Join thousands of happy creators that trust our service! Create your account today, cancel at any time. No bad feelings. B2B copyright protection and monitoring service. Talk to us.